Component Object Model (COM) is an interface standard for implementing software components provided by Microsoft. It is programming language-neutral and can be used in different environments such as C# or VB or even across machines boundaries. 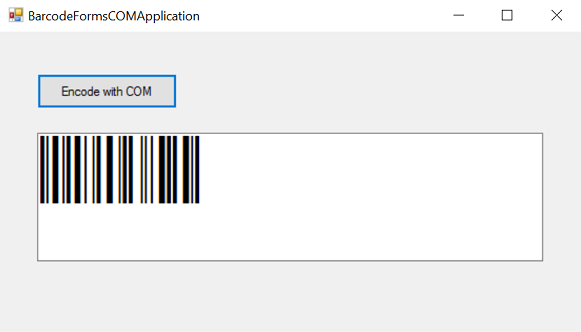 This tutorial illustrates the setup of the Barcode Fonts COM library provided in ConnectCode Barcode Fonts and then accessing the functions in the library through a Windows Forms application. 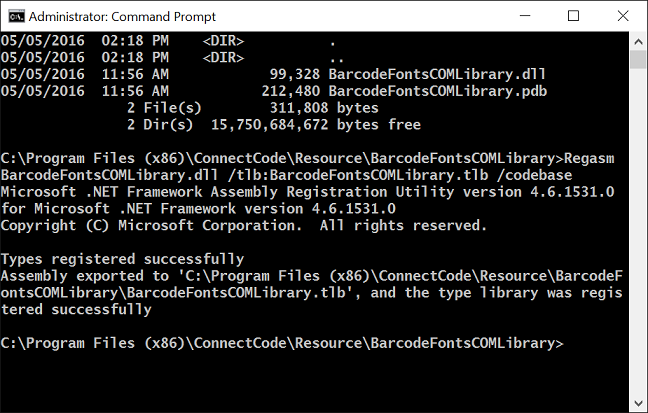 BarcodeFontsCOMLibrary.dll in the Resource\BarcodeFontsCOMLibrary subdirectory of ConnectCode Barcode Fonts. BarcodeFormsCOMApplication.sln in the Resource\BarcodeFontsCOMLibrary\BarcodeFormsCOMApplication subdirectory. 1. Launch the Command Prompt (as Administrator) from the Windows Search bar (or Cortana Ask Me Anything). 2. In the Command Prompt, go to the following folder. Ensure that the command is executed successfully. 6. Copy the following “BarcodeFontsCOMApplication” folder to your Document folder or any other folder that you can remember. 7. 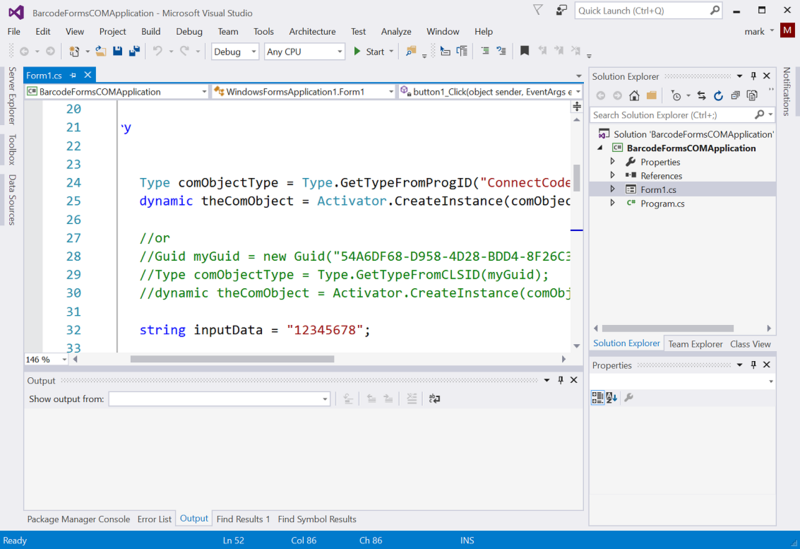 Launch Visual Studio 2015 and open the solution in the BarcodeFontsCOMApplication folder. 8. Click on the Start button or Debug->Start Debugging menu item. 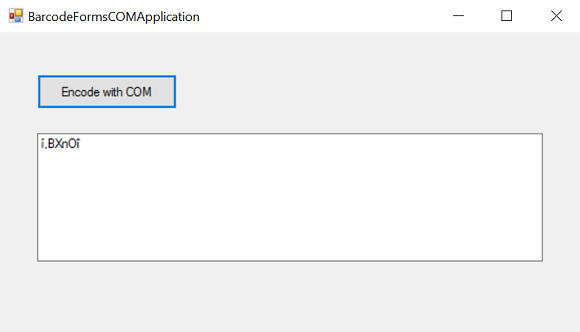 This will start the Windows Forms application in the Visual Studio solution. 9. Click on the “Encode with COM” button as shown below and ensure that you see the following output in the text box. The “í,BXnOî” characters when applied with the “ConnectCode128_S3.ttf” font will display an industry compliant Code 128 barcode. 11. The following display the C# programming codes to call the COM library.